In the previous part of this series we created the API backend we need our iOS application to connect to. In this part, we will create the application itself using Xcode and Swift. We will be building out the application based on the prototypes we created in the first part of the series. Let’s go through some requirements you need to have to follow this part of the article. In the first part, we created the scenes of our application in Xcode using the Clean Swift templates. Now we are going to work on creating our storyboards and linking them to the view controllers we created. First add a Navigation View Controller and a View Controller to the storyboard as seen below. The Navigation Controller will be the entry point to our application. Set the custom class for the second View Controller as the LaunchViewController we created in the first part of the article. We will use the LaunchViewController to determine which initial screen to present to the user when the app is launched. If the user is logged in we’ll present the contacts list, if not, we’ll present the Welcome scene so the user can log in or sign up. The next scene we will create is the welcome scene. When a user is not logged in, they will be redirected to this scene. From here they can sign up or log in to their account. In the Main.storyboard add the View Controller and create a “Present Modally” manual segue from the launch controller to the controller you just created. Next create two new View Controllers. The first will be for login and the second will be for sign up. Set theView Controller for the Signup controller to SignupViewController and the custom class for the login View Controller to LoginViewController. Create a “Present Modally” segue from the Sign In button to the LoginViewController and from the Don’t have an account? Sign up here button to the SignupViewController. Name the segues Login and Signup. In the Signup view create three input fields and create an @IBOutlet for them in the SignupViewController, we named ours emailTextField, nameTextField and passwordTextField. Create an @IBAction called cancelButtonWasPressed for the cancel button and signupButtonWasPressed for the sign up button. In the login view, we will follow almost the same steps as the sign up controller, but, this time the @IBAction will be named loginButtonWasPressed and there will be no nameTextField. 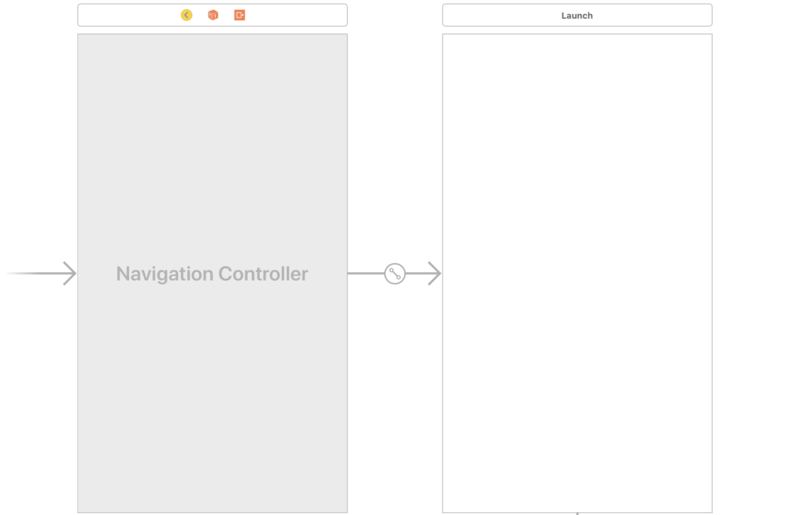 Next, create a Navigation controller and make sure the root controller for it is a UITableViewController. 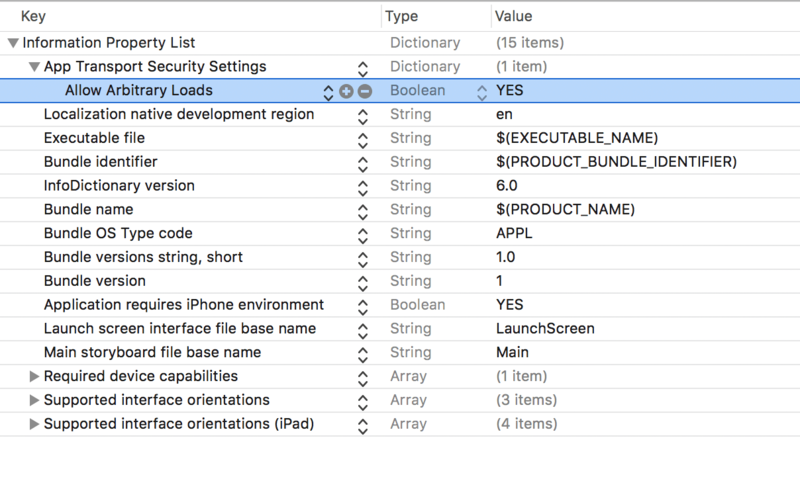 Create a manual segue named ListMessages from the LaunchViewController to the navigation controller and set the custom class of the UITableViewController to ListContactsViewController. Create a “Present Modally” manual segue named MainNavigator between the navigation controller and the Login and Signup scenes. Lastly, create a new UIViewController and create a segue named Chatroom from the Prototype Cells to the new View Controller, then set the custom class of the View Controller to ChatroomViewController. Now that we have our scenes in place and hooked up to our View Controllers, let’s start adding the functionality to them. We will start at the very first piece of code that gets called when the application is launched: AppDelegate. static let ENDPOINT: String = "http://127.0.0.1:8000"
static let CLIENT_SECRET: String = "API_CLIENT_SECRET"
static let CHATKIT_INSTANCE_LOCATOR: String = "CHATKIT_INSTANCE_LOCATOR"
In the struct above, we define some constants for our application. We will use this as some configuration value handler for our application. Replace the values for the API_CLIENT_ID, API_CLIENT_SECRET and CHATKIT_INSTANCE_``LOCATOR with the actual values. 💡 You can get the API_CLIENT_* key values from when you were setting up Passport in the previous part of the tutorial, and you can get the CHATKIT_INSTANCE_``LOCATOR from the Chatkit dashboard. Open the Scenes/Launch/LaunchSceneController file and let us start adding some functionality to the class. We have simplified most of the code that comes with the Clean Swift template. In the viewDidLoad method, we check to see if the user is logged in using an Authenticator class, which we will create later. If the user is logged in then we route the user to the list messages page else we go to the welcome page. In the router we have defined the routeToWelcome and routeToListContacts methods. Both methods do what is necessary to route the user to either the Welcome or MainNavigator segue. This is all we need to do for the Launch scene. You can delete the other template files in the Scenes/Launch directory as we will not be using them. You can delete the other template files in the Welcome scene as we will not be needing them and they serve no purpose. For our Login scene we will start by adding the logic to our LoginModels class. The models will help us format the response from the API to what our application will be able to consume. In the LoginModels file paste this code. Next open the LoginInteractor and paste this code into the file. In this class we have a login method that just calls a login method on the UsersWorker class. Depending on the response from that call, we either show a login error or we route to the contacts list. The router above has just one method. This method routes the app to the list contacts page when called. The last class we want to edit for this scene is the LoginViewController. This is the class that pieces the other classes above. Open the file and paste this code into the file. 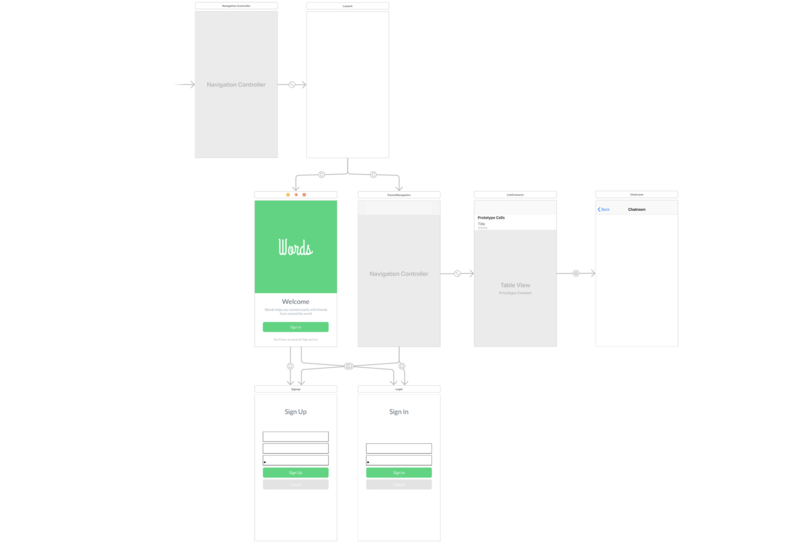 In the view controller we have the usual set up methods used by Clean Swift but we also have the @IBActions and @IBOutlets we created when we were creating our storyboards. In the cancelButtonPressed method we just dismiss the login screen modal, in the loginButtonPressed method we call the login method on the interactor, and in the showValidationError method we show an alert with an error message. In the models we have Request and Response structs. Their functionality was described above. var router: (NSObjectProtocol & SignupRoutingLogic)? In the createAccount method, we call the signup method on the UsersWorker and then depending on the response we either route to the contacts list or show an error. As in the login router, this method just routes the user to the contacts screen using the MainNavigator segue. For the SignupViewController, use this code. 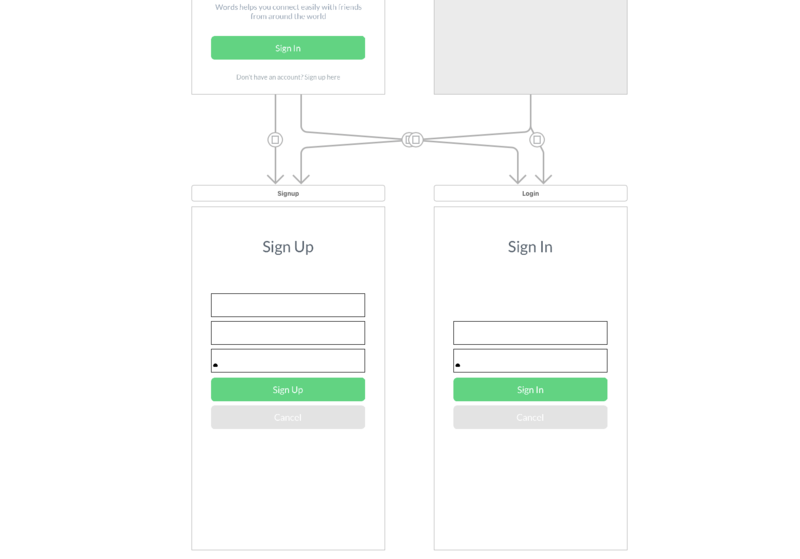 In this view controller, we set up the Clean Swift components then in the cancelButtonPressed method we dismiss the signup modal and in the signupButtonPressed method we create the account using the interactor. The showValidationError shows an alert when it is called, usually when there is an error signing up. The ListContacts scene is supposed to show a list of the contacts available to chat with. Open the ListContactsModels file and paste this code into the file. In the code above we have the usual Request and Response (explained above). We also have a ParseContact struct that takes the raw data and an array of rooms. It parses it into a Contact model object with User and PCRoom object. We reference this in the Responses above so as to avoid duplication. We also have a ViewModel struct that we use to format the data in a way the presenter needs to display the data to the user. In the method above, we have fetchContacts, which uses the UsersWorker class to fetch the contacts from the API and also the addContact class, which also uses the same worker to add contacts. After a successful call, in both methods we call the presenter, which formats the data and makes a call to the View Controller and displays the content. The code above has three methods. presentContacts and presentAddedContact do pretty much the same thing: format the contacts, append it to the displayedContacts array, and call the displayContacts method. The displayContacts method just calls displayFetchedContacts on the View Controller. var router: (NSObjectProtocol & ListContactsRoutingLogic & ListContactsDataPassing)? emailTextField.placeholder = "Enter email address"
In the viewDidLoad method, we configure the navigation bar and add an “Add” button to it. We also set the title to “Contacts”. The showAddContactPopup method shows an alert controller with a text field for the contact you want to add. When you click add, the contact will be added. The initialiseChatkit method connects to Chatkit and stores the currentUser in the interactor while the fetchContacts method gets all the contacts from the API while the displayFetchedContacts method simply displays them. cell?.detailTextLabel?.text = contact.isOnline ? "online" : "Seen recently"
The method should be familiar to you as it just helps us feed data to the UITableView so our contacts display properly on the table. In the routeToChatroom method we call passDataToChatroom which passes data (the Contact object and the current user) to the ListContactsViewController for usage. Like the other methods, we have the usual Request and Response struct (explained above). In the ChatroomInteractor.swift file paste this code. In the subscribeToRoom method, we subscribe the currentUser to a room. We also set the PCRoomDelegate to the interactor which means we can implement methods that handle events on the interactor. In the addChatMessage method we add a new message to the room as the currentUser. When the user is added we pass the messageId to the completion handler. In the extension class, we implement the newMessage method of the PCRoomDelegate. The method is fired automatically anytime there is a new message in the room. So we handle the new message by presenting it to the controller using the ChatroomPresenters presentMessages method. The only method there is the presentMessages method. It just calls the displayChatMessages method on the view controller. var router: (NSObjectProtocol & ChatroomDataPassing)? In the extension above we have the initialiseChatkit method. It takes the current user passed on from the ListContacts scene and saves it to the interactor. Then the next method is the configureMessageKit where we configure MessageKit. Lastly, we have the displayChatMessages method that displays the messages. The first extension above extends the [MessagesDataSource](https://messagekit.github.io/Protocols/MessagesDataSource.html) protocol and has to conform to some of its methods. Here we implement currentSender, numberOfMessages and messageForItem, all self explanatory. The next extension on the list is for the [MessagesLayoutDelegate](https://messagekit.github.io/Protocols/MessagesLayoutDelegate.html) protocol and it implements some of the methods but there are other methods you can implement to change the layouts display. There is also the implementation of [MessagesDisplayDelegate](https://messagekit.github.io/Protocols/MessagesDisplayDelegate.html), which is empty but you can look through the documentation to see methods you can implement. Lastly, we implement [MessageInputBarDelegate](https://messagekit.github.io/Protocols/MessageInputBarDelegate.html) and in there we have the messageInputBar method, which is called after the send button is clicked on the chat screen. In this method we send the message using the interactor and then empty the input. With this we are done with our scenes. Next, we will add the code for our supporting classes used in the scenes. To implement the models, create a new folder/group in the root directory called Models and start creating the model files below in them. Get the code from the GitHub links. In the UserToken class above we implement the NSCoding protocol, we need this so we can save the UserToken object to UserDefaults. Like the UserToken model, the ChatToken does the same thing with the NSCoding protocol. When we have received a chatkit_id back from the server we want to store that in UserDefaults so that we can use it to connect to Chatkit. This Authenticator class checks if the user is logged in. It does this by checking if the token from the API is saved in UserDefaults. static var DATA_KEY = "WORDS_API_TOKEN"
The UserDataTokenStore class saves and fetches the token required to make calls to our backend API. The class above does the same as the UserTokenDataStore, however it checks for the token required to make calls to the Chatkit API. It also extends the [PCTokenProvider](https://github.com/pusher/chatkit-swift/blob/master/Source/PCTokenProvider.swift) and thus we have the fetchToken method that fetches the token from the UserDefaults. The class above does the same as the two token data stores. It takes some information, in this case the user’s Chatkit ID, and fetches and stores it in UserDefaults. let url = AppConstants.ENDPOINT + "/api/contacts"
The first method is a wrapper around Alamofire and the second method generates a HTTPHeaders array where we specify the token to send along with requests to the API. Now you can run the application in the emulator and it should work. If you are running the API server locally XCode might not allow you to make requests to the local server. You can get around this by adding App Transport Security Settings to your Info.plist file and set Allow Artibrary Loads to YES. In this part we were able to create the iOS application. 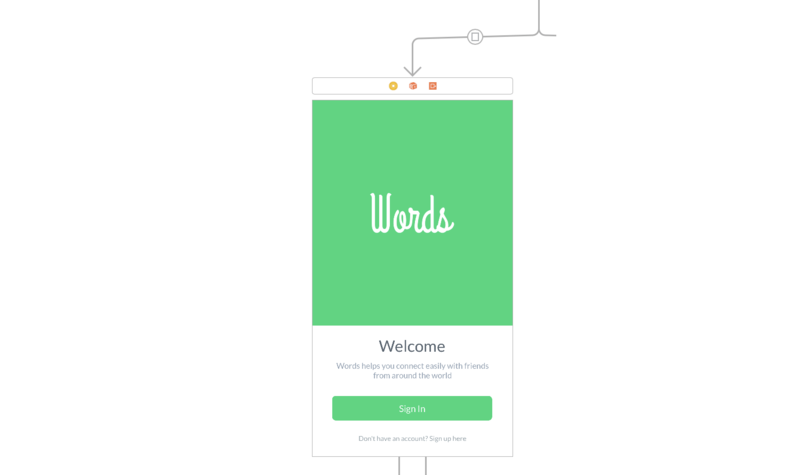 In the next part of this series, we will focus on adding extras like user presence and who's typing to the app. These additional features will make the app feel more interactive. For now however, the application should be able to send and receive messages, log in, sign up, and list contacts.